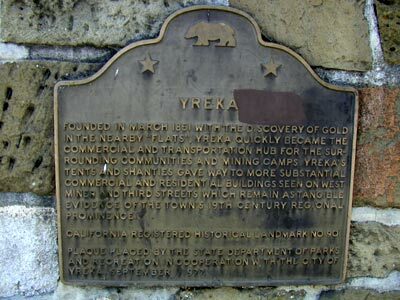 Founded in March 1851 with the discovery of gold in the nearby "flats", Yreka quickly became the commercial and transportation hub for the surrounding communities and mining camps. 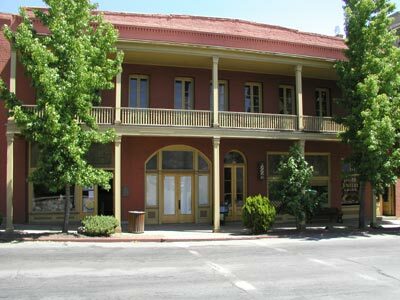 Yreka's tents and shanties gave way to more substantial commercial and residential buildings seen on West Miner and Third streets which remain as tangible evidence of the town's 19th century regional prominence. 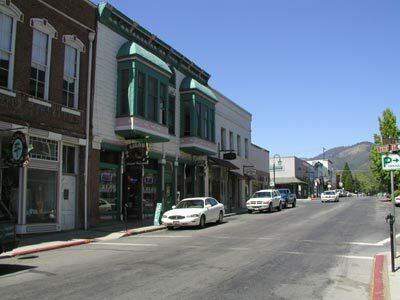 SW corner of Miner St and Broadway, Yreka.